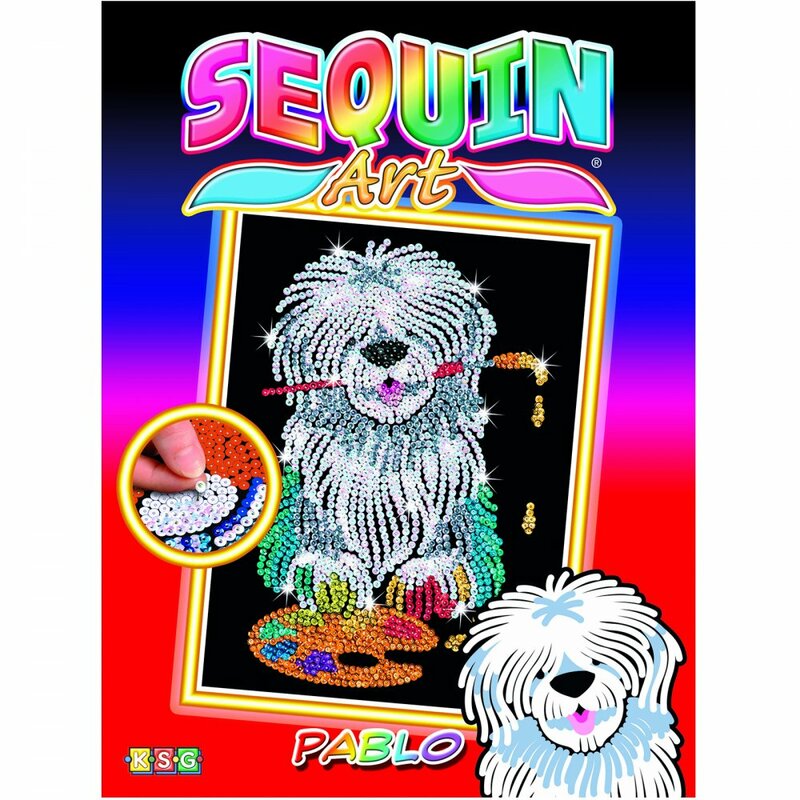 Create a simplified version of our popular sequin art pictures using easy to follow full colour pre-printed design. Colourful sparkling designs for the younger child. Contents: 1 x polystyrene base, coloured picture, coloured sequins, pins and full instructions.